Pledge your birthday and help change lives. It’s easy. Instead of gifts, ask for donations. The first step is simple - just pledge your birthday by using the form above, and share your pledge to let the world know you’re serious. When your birthday is near, we’ll remind you to start a fundraising page and ask your friends to donate to clean water for your big day. We’ll use 100% of the money you raise to fund clean water projects. When complete, you’ll see the exact projects you funded with photos and GPS. A birthday story: meet Lory. birthdays are celebrated around the world every day. average amount raised by a person’s birthday campaign. get clean water as a result of an average birthday campaign. has already been raised for clean water through birthdays. 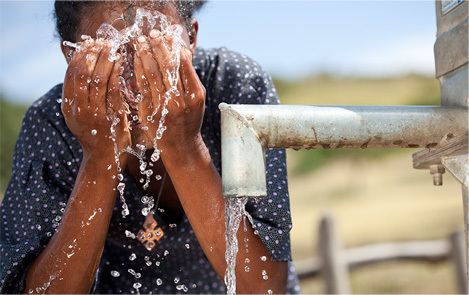 663 million people still live without clean water in developing countries around the world. Many walk 2-4 hours a day to swamps and rivers to gather dirty water for their families. Since charity: water started in 2006, we've funded projects in countries around the world that have brought clean water to millions of people. Join us. Pledge your birthday. 99,066 people have already pledged.